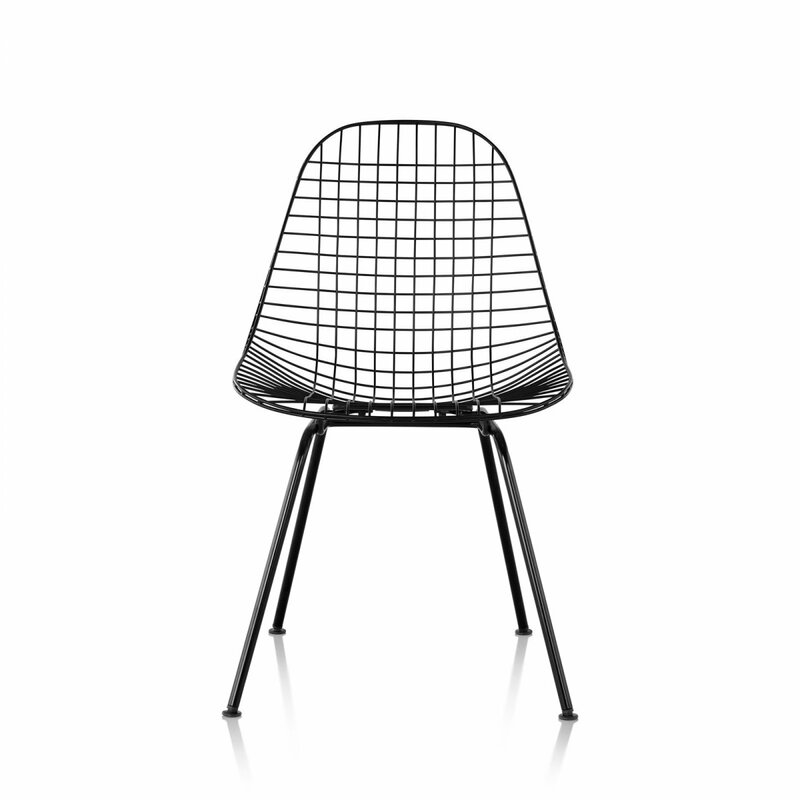 A wire chair with a simple aesthetic, designed by Charles & Ray Eames for Herman Miller. 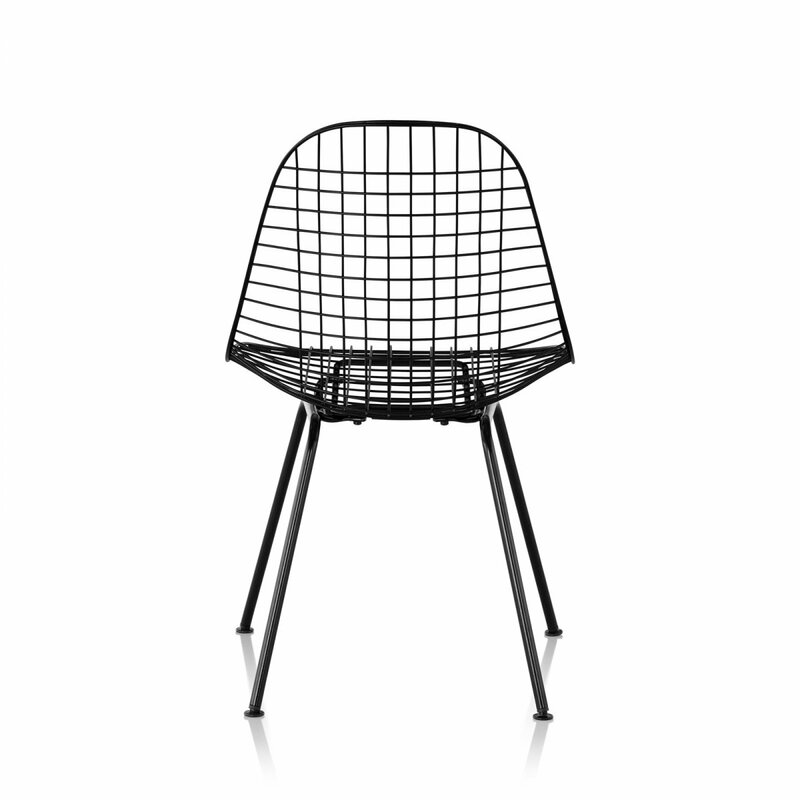 The Eames Wire Chair is a unique iteration in the continuous evolution of the Eames Shell Chair. 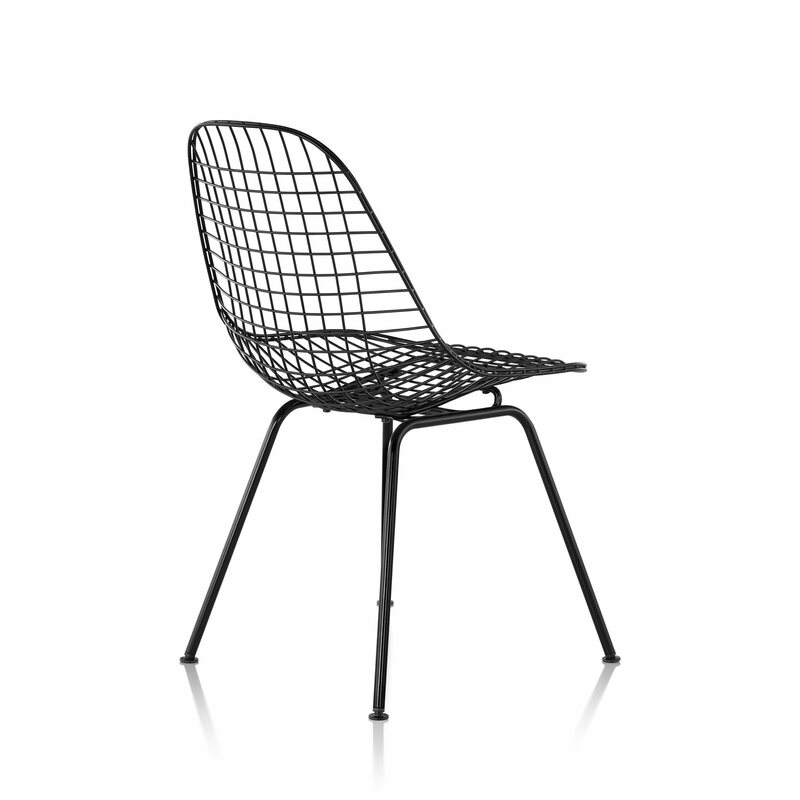 In the 1950s, the Eames Office started experimenting in bent and welded wire and developed a number of pieces, including the wire version of the single shell form. 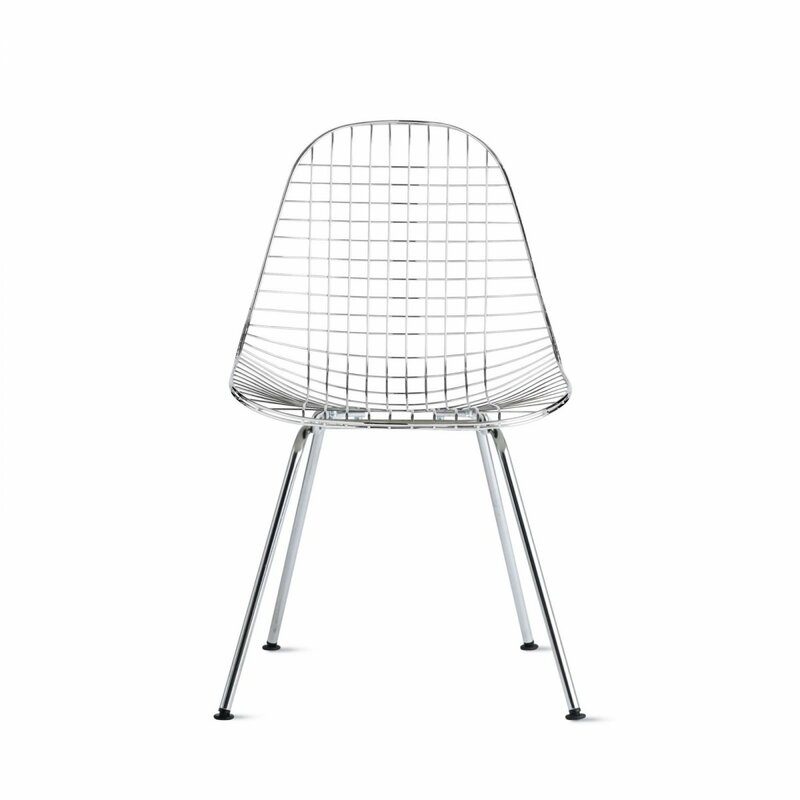 With the expansion of base choices — including 4-leg and wood dowel in addition to wire — and the option of adding a seat pad or an upholstered seat / back bikini pad, this Eames classic is more versatile than ever. Made in USA.